For more information, please check our Convention Page. 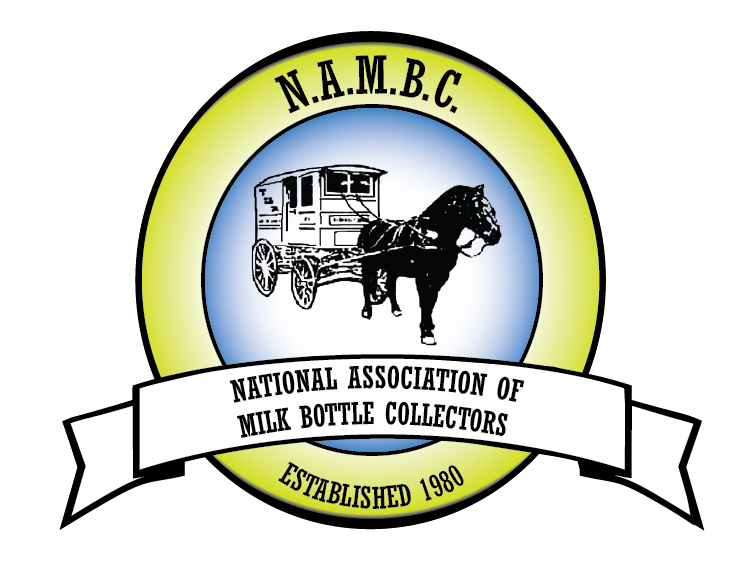 The National Association of Milk Bottle Collectors (NAMBC) provides research, educational opportunities and information about milk bottles, milk bottle collecting and dairy memorabilia to its members, museums and the general public. NAMBC is Incorporated as a 501 (c) (3) "not for profit" organization. The NAMBC publishes 12 monthly issues of its newsletter the Milk Route. The Milk Route is available to NAMBC members only and is included with membership. The Milk Route contains articles and photos of milk bottles and dairy related memorabilia as well as informative articles on milk bottle and dairy related history. It is also a great way to advertise bottles for sale and put in ad ad for items you seek for your collection! Once a year the NAMBC holds an Annual Convention where members and non-members from around the world meet and share their passion for milk bottles. The convention includes lectures, auctions, a banquet dinner and is a great place to buy and sell milk bottles and related items.